With a wealth of experience providing coach and minibus hire in Cheltenham, Cheltenham Coach Hire are happy to advise on the right transportation for your visit to Cheltenham and the surrounding area. 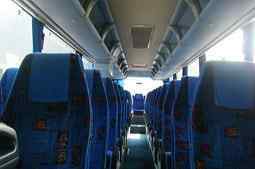 Whether you are looking for a minibus for a business meeting or a coach for a school tour, www.coachhirecheltenham.co.uk is the No.1 destination for hiring transport in the Cheltenham and Gloucester areas. Situated just off the M5, Birmingham International Airport is just over an hour’s drive away and we offer airport transfers as well as coach trips to the Birmingham NEC for trade shows and exhibitions. 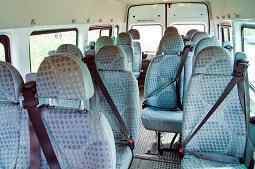 Providing all your minibus hire needs in Cheltenham and the surrounding area, our drivers have an in depth knowledge of Gloucestershire and can collect and drop off anywhere in the GL postal district, making travel for day trips or night time excursions convenient and hassle-free. Situated on the edge of the Cotswolds in the heart of the Gloucestershire countryside, Cheltenham is one of the original 18th Century Spa towns. Traditionally a market town by charter, it was given a Royal seal of approval by George III who would visit Cheltenham Spa to take the mineral waters. As a result, it is home to some of the best examples of British Regency and Victorian architecture, including the Pittville Pump Room and Cheltenham Town Hall. It is however, most famous for its race course and horse racing festival which takes place in March drawing thousands of racing enthusiasts notably to see The Gold Cup, highlight of the British steeplechase racing calendar. Held in March each year the Cheltenham Festival has the second richest prize in the hunt racing calendar in Great Britain and Ireland and attracts thousands of visitors to the area for Festival Week. With Cheltenham town accommodation at capacity, many visitors stay in Gloucester and the surrounding areas during the four days of the festival. Cheltenham Coach Hire are the ideal company to provide transport to and from accommodation to the Race Course and for evenings out during your festival stay. Our fleet tends to be booked out well in advance so to make sure you book in time, fill out our online form for an instant quote or call one of our customer service providers now to discuss availability and packages. As well as horse racing, Cheltenham is home to a host of festivals throughout the year under the umbrella organisation Cheltenham Festivals. The Jazz Festival which takes place during April and May is run in conjunction with BBC2 and brings together musicians, singers and fans from across the UK and further afield to play, jam and join in the fun. June brings the Science Festival with exhibitions, children’s fun days, experiments, panel discussions and more. July is for the Classical Music Festival with a programme that includes everything from Medieval music to interactive concerts featuring ballet and film. In October the Literature Festival hosts such literary luminaries as Salman Rushdie and is booked out in advance for talks and readings. School bookings are a feature of this festival and Cheltenham Coach Hire can provide transportation for the day for those making field trips. Birmingham International Airport is an hour’s drive on the M5. We can drop off and collect you for your family holiday or visitors from out of town/overseas for work or leisure. We can also provide transfers to airports further afield, call today to discuss the options available. Whether you have clients coming in from overseas or colleagues visiting from nearby, we can provide transport to and from your meetings in comfort so that you can focus on the business. 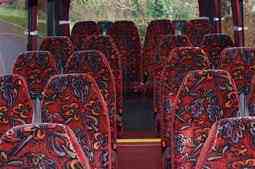 When the business is over, we can provide a minibus so that you can concentrate on entertaining your clients. Whether taking a trip through the Cotswolds, visiting the neighbouring market towns of Tewkesbury, Stroud or Worcester or going further afield for a day out, www.coachhirecheltenham.co.uk can supply all your minibus and coach hire needs. We can drop off and collect the next day for engagement parties, weddings, christenings, anniversaries or even just a luxury weekend away out of town. With so many beautiful country hotels and spas in the area you are spoiled for choice. As mentioned, Cheltenham hosts a variety of festivals throughout the year. We are happy to provide special rates and discounts for musicians, publishers and those exhibiting at the festivals who wish to use our services for the duration of their visit. We can also provide information on the most convenient places to stay depending on where you are exhibiting. Cheltenham has its fair share of nightclubs with places like MooMoo, Thirteen Degrees and Fever top of any clubber’s agenda. Fever has a sister club of the same name in Gloucester and with both clubs offering free entry, you can go club hopping with a difference and use a minibus to travel between the two towns. This is an ideal service for stag and hen do’s. At www.coachhirecheltenham.co.uk we pride ourselves on providing the best service we possibly can and are happy to discuss tailored packages and pre booking discounts. Many of our customers bring us repeat business and provide strong testimonials for our service. Call today to find out why we are the No.1 provider of coach and minibus hire in Cheltenham.